Sharing music among a collection of devices has become possible through the Apple Family Account which allows enjoyment of apple music by up to six family members. 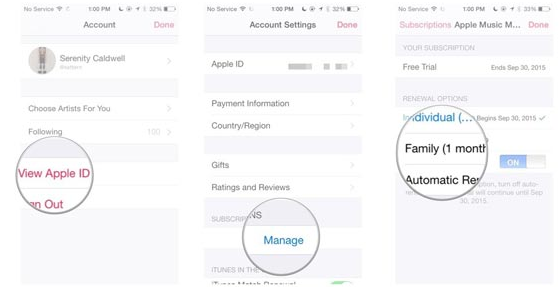 The Apple Family Account is set up by a family organizer who then sends invites to family/relatives to become members of the group, choose the payment method and creates children IDs if necessary. The family organizer also sets the family sharing settings including a parental control to approve what children get access to including free downloads and purchases. 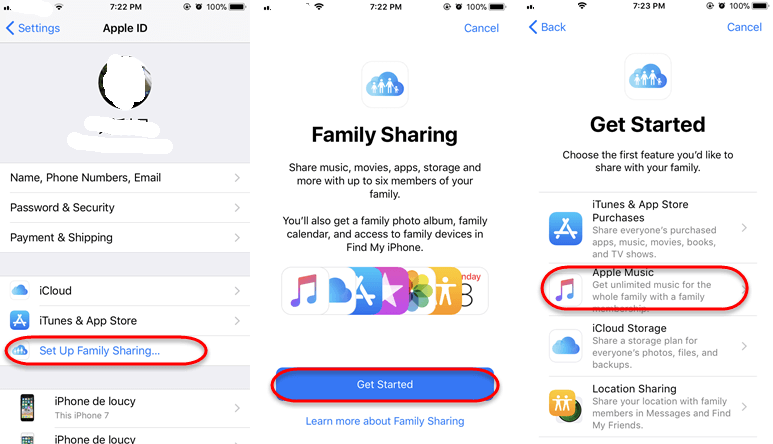 Once in an Apple Music Family Membership plan, then Family Sharing is set up on everyone's devices automatically, and any music purchased by a family member becomes available to everyone else in the group. However, one can choose not to share individual items in your family sharing settings. Any new purchases are billed to the organizer's credit card. Apple music family sharing may seem complicated and too much of a hassle to many due to the procedures and steps involved in subscribing for an Apple Music Family Plan and inviting or adding members. For those looking for an easy and straightforward way to share music with family members they can try the alternative solution of using iMyFone TunesMate iPhone Transfer. Preview and select- with TuneMate you can be able to preview and selectively transfer files between iTunes and iDevices, or between PC and iDevices. iMyFone TunesMate is designed to surpass the most annoying Apple restrictions and limitations. 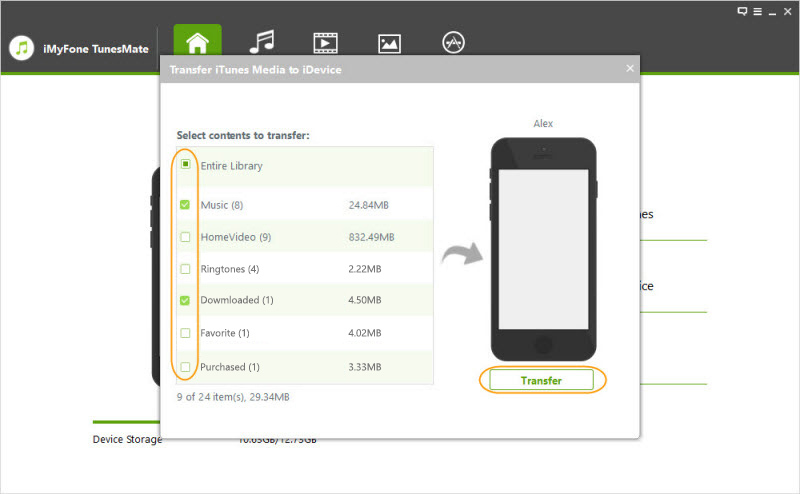 This third-party application by iMyFone can transfer media and data from an unlimited number of iTunes libraries to an infinite number of iDevices, thus being a cool tool to use for family sharing of media among family members. Step 1:	Download, install and launch TunesMate on your PC/Mac. Step 2:	Connect the device of your family member you want to transfer media to/from using a USB cable. Step 3:	From TunesMate Home interface select the right mode depending on whether you want to transfer media to or from iTunes to iDevice. 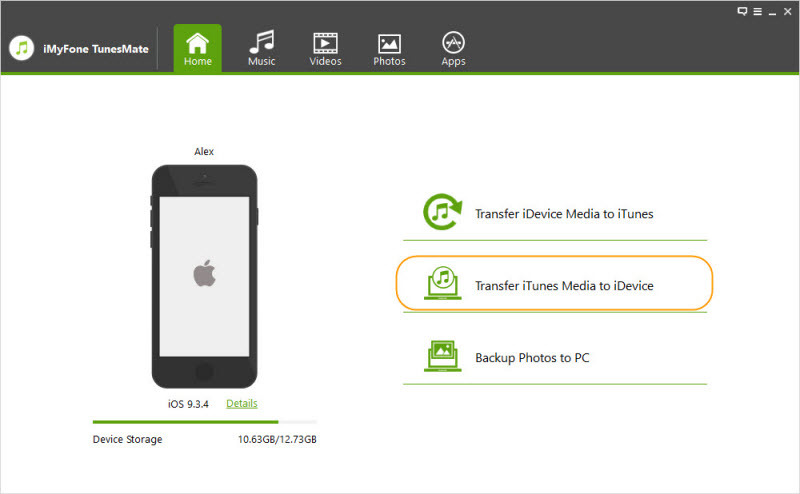 Taking “Transfer iTunes Media to iDevices” as an example! Step 4:	Click on the start button and after that TunesMate scans the media and shows it in a list select what to transfer and then Click "Transfer" button to begin the transfer process and "OK" button to finish it. A parent or guardian who decides to become the family organizer can sign up for the Apple Music Family Plan and begin to family share Apple Music. The easiest way to sign up for this Plan is on an iPad or iPhone with iOS 8 and later. 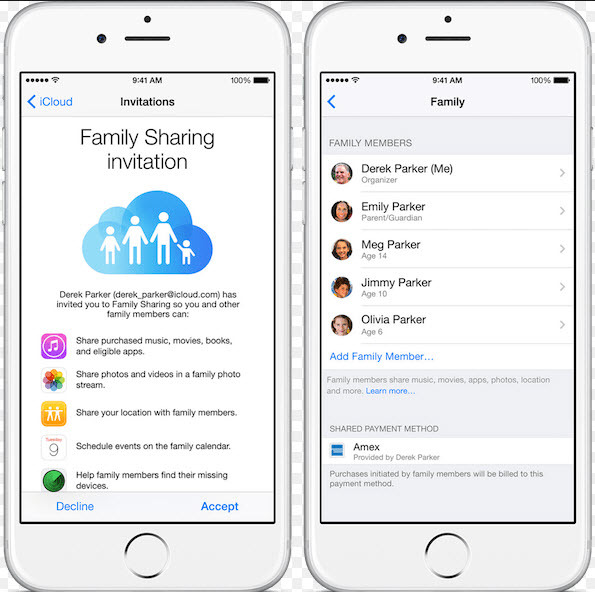 Step 6:	Choose to send an invitation to the family member, and after they receive and accept the invitation, then they are added to iCloud Family Sharing.